A gold rush adventure story, The Call Of The Wild features spirited settings and characters but only elemental human drama. The bustling frontier town of Skagway, Alaska in 1900 at the height of the gold rush. Prospector and gambler Jack Thornton (Clark Gable) meets Shorty Hoolihan (Jack Oakie), who has recently been released from prison after serving time for mail theft. Shorty claims to have seen a map indicating the location of a gold-rich plot of land. Jack and Shorty team up to find the fortune, and soon tangle with the pompous Mr. Smith (Reginald Owen), a rich prospector on his own quest. Jack purchases Buck, a fierce and powerful St. Bernard, to be part of his sled-pulling dog team. 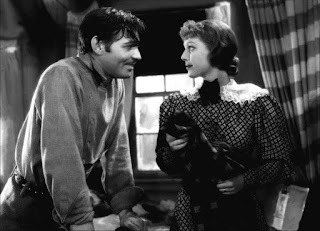 Once in the wild, Jack and Shorty stumble upon Claire Blake (Loretta Young), who is on a similar expedition to find the gold. With her husband missing, Claire is at first unwilling but then joins them on their journey to Dawson City in the Yukon. The trio then set off by raft to follow the path indicated on the map. As they near their destination, Jack and Claire start to fall in love, but others are also closing in on the precious riverside land. A partial adaptation of the Jack London classic novel, The Call Of The Wild is a rough and ready adventure directed by William A. Wellman. The emphasis is on recreating the chaos and greed that fuel a gold rush, and Gable and Oakie do a fine job bringing to life two prospectors chasing the dream and perhaps enjoying the expedition more than the outcome. From taming Buck the dog to subjugating Claire to their will, Jack and Shorty are not here to be nice. They are intent on conquering the land, the animals and the women all in search of riches, as long as their is fun to be had along the way. 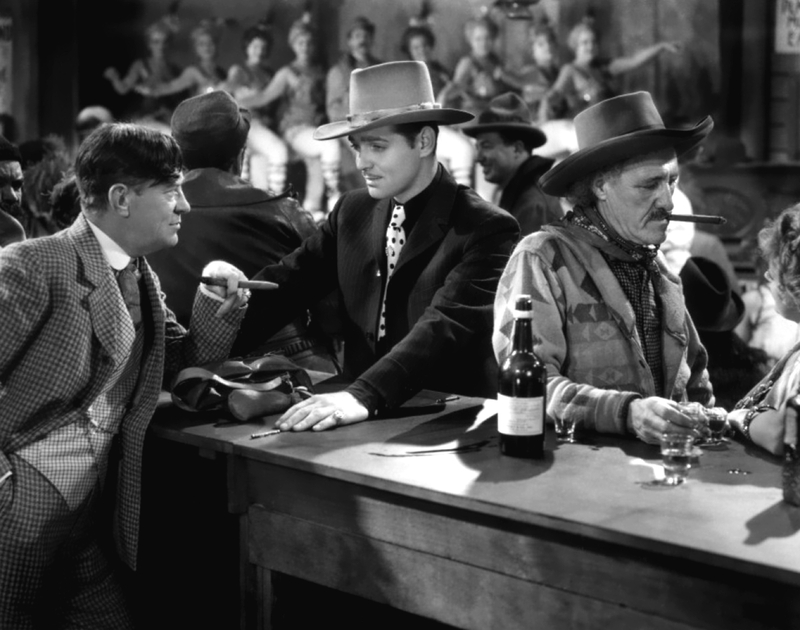 Wellman recreates a quite impressively anarchic Skagway and a Dawson City consumed by greed, both filled with the wannabe rich and those who leach upon them. And the film also spends plenty of time in the wilderness enjoying the outdoors and capturing the dangerous beauty of remote winters in a rugged land. The film does get bogged down in too many dog-related chapters and not enough character development. Although the book is primarily about Buck, on the screen this becomes a weakness. Too many scenes feature the antics of Buck, and the dog emerges as the most animated and dominant character in the film, to the detriment of the humans. Some interesting parallels are drawn between the pull of the wild on Buck's instincts and men reverting to primordial behaviour to survive the conditions, but these themes are underdeveloped. Jack, Shorty and Claire are just about the same from start to end, and little new is learned about them during the 89 minutes of running time. Claire suffers the most, showing hardly any grief due to the separation from her husband, and falling in love with Jack just because the script seems to demand it. Featuring an energetic spirit but riding on a thin layer of snow, The Call Of The Wild has plenty of dog but limited bite.